Whether you work in a clinical, biological, or chemical lab, laboratory information systems software can be a great addition to the tools in your workplace. This type of program has the ability to improve the efficiency of your company’s lab work and organize the data your lab has collected in a streamlined way so that the lab may be able to run more smoothly. It can also help to transfer data to other departments or labs with greater ease and speed than traditional paper reports. Using electronic software that is meant to be used with laboratory data enables users to store and organize the data in a way that makes the information easy to access and input for lab employees. This software does not take up physical space like notebooks and binders do, so employees will not have to keep track of piles of papers and spend time organizing them. Laboratory information systems software takes care of the organization for the lab, so it can also save employees time and effort. Along with the ability to easily organize lab information, specially designed software may also be able to easily transfer files between users who are, for example, in different departments of a single company or even in the labs of separate companies. This is important, for instance, in health information exchange in the clinical settings, when it may be necessary for health care practitioners to know the results of patient lab tests as soon as possible, and electronic software provides a quick solution to data transfer, as opposed to scanning, saving, and faxing paper copies of test results. With the advancement of technology in the modern era, updated systems are now becoming available that can help improve many areas of all types of workplaces, including laboratories. 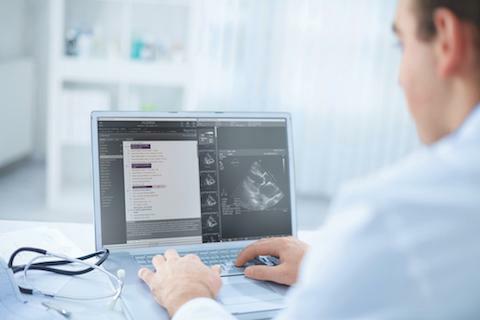 Information systems software is one of these technologies that has improved efficiency in the workplace and hopefully will continually be able to help improve laboratory management.